The Mission of the American Dragon Gate Lineage is to promote Daoist training and to the spreading of the teachings of the Daoist worldview. Enter the path of the Dragon to cross the obstacles of life and to emerge as a messenger of hope and peace. Priest Michael was ordained in 2003 as a 22nd generation Longmen Daoist priest. 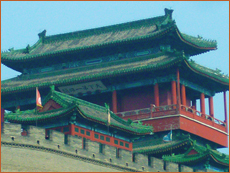 Longmen Priest Ji Zhi Tong of White Cloud Temple, Beijing, China was the officiating priest. 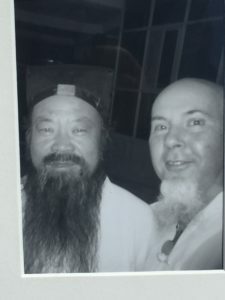 In 2006 after additional Daoist training and studies, Shifu Michael began to train and ordain others as Daoist priests of The American Dragon Gate Lineage (ADGL), which he founded in 2006. 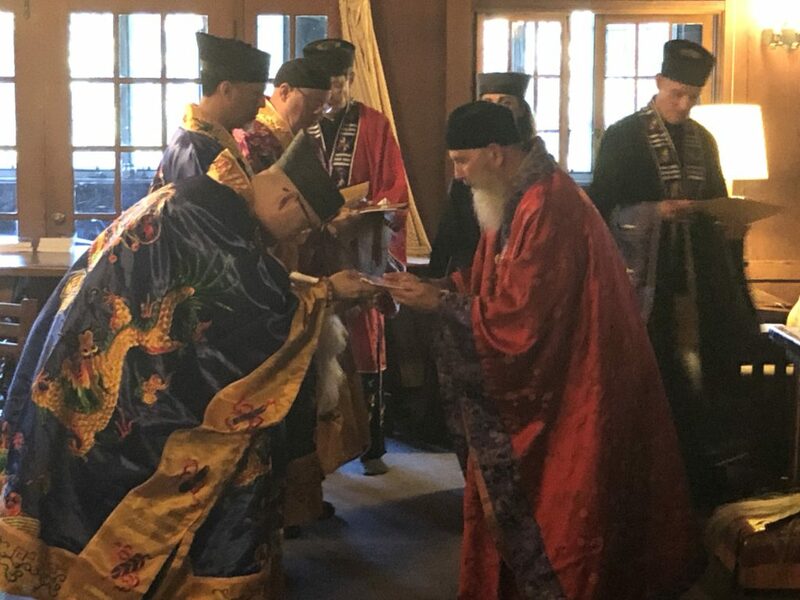 Shifu Michael received a second ordination as a 22nd generation Daoshi of the Longmen Dragon Gate sect on December 3, 2016 by Abbot Bernard Shannon of the Temple of Peace and Virtue, and was recognized as an Abbot of The American Dragon Gate Lineage. 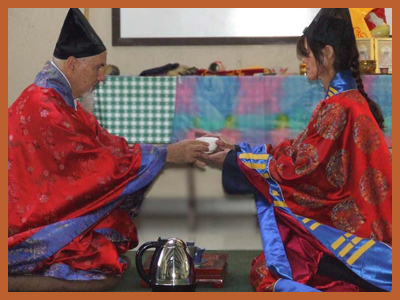 Serious followers of the Daoist path are encouraged to apply for trainings to eventually become ordained Daoist priests of the ADGL. 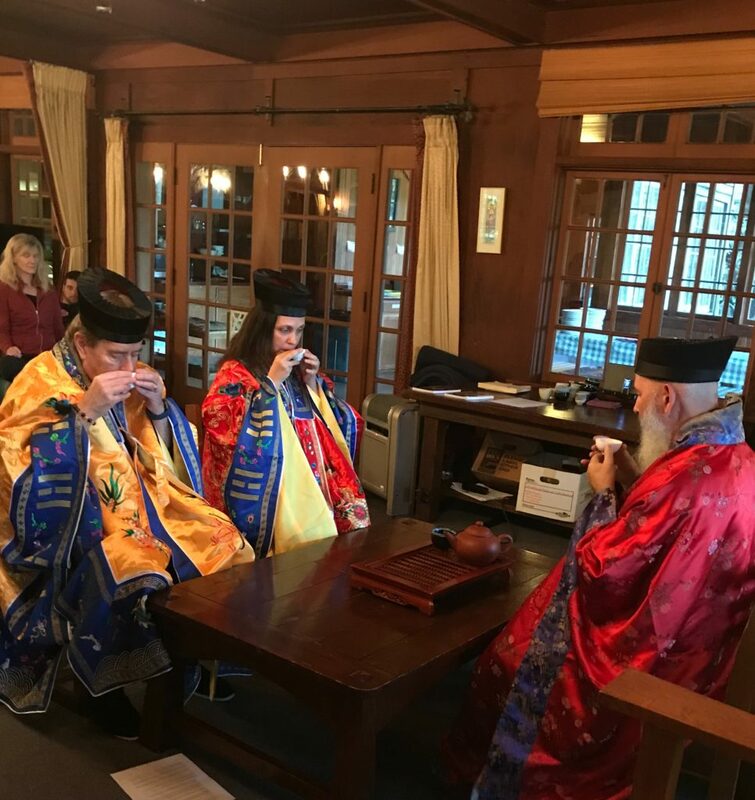 Furthermore, it takes a prolonged commitment to the Daoist path to become an ordained Priest, and then to continue that commitment to the Lineage beyond ordination and trainings. Most ADGL members live in the USA, and several members live in Canada. The official web site of the American Dragon Gate Lineage (website temporarily in service) highlights the activities and members of the lineage. Visit it to learn more. 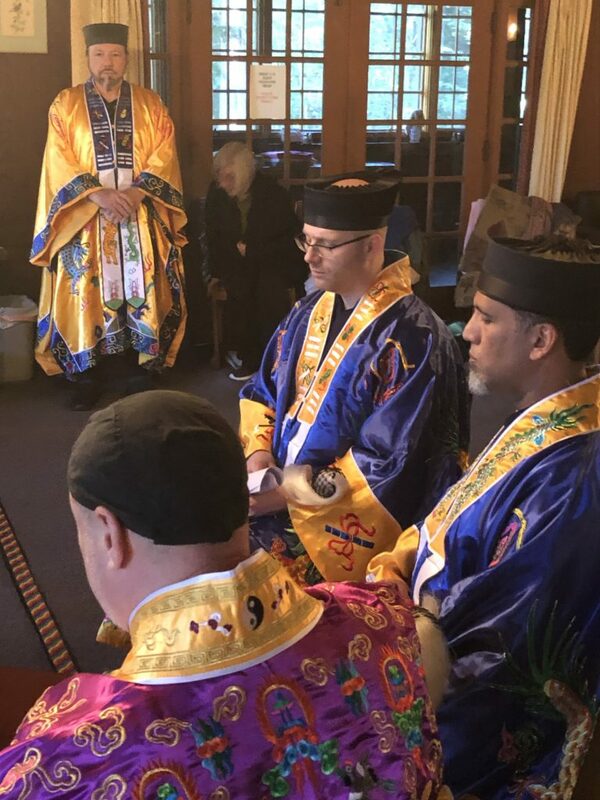 Level 1: 3 months: A Taste of Daoism: A preliminary Daoist training level required before being officially accepted into the ADGL priest training. An introduction to the history and background of Daoism and the beginning of Daoist meditation practices. Several books required to read and write brief reports on. Upon completion, you will receive a Letter Of Completion, and be eligible to take Level 2. 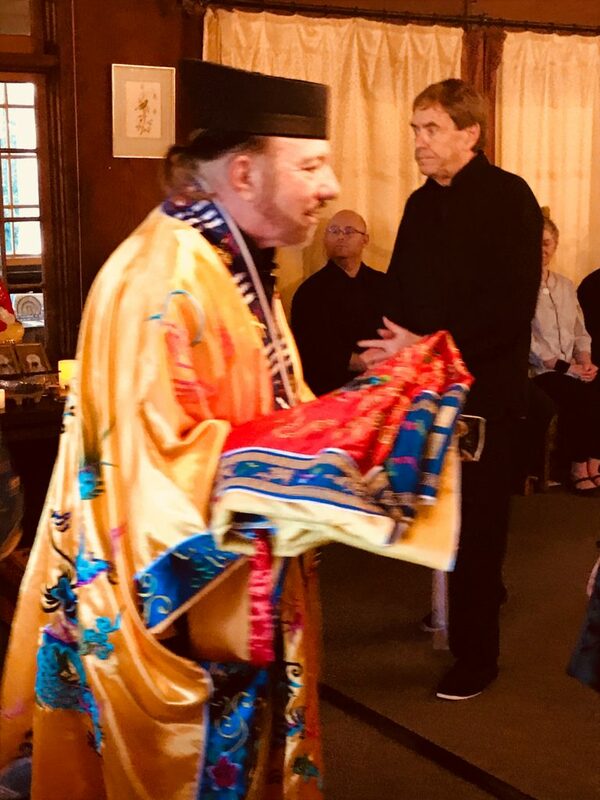 Level 2: 6 months: Stepping Into the Stream: The second preliminary Daoist training level goes further into Daoist and qigong studies and practices. Including: scriptures, retreat experiences, additional books to study, qigong, precepts, spiritual direction, meditation, and more. Upon completion, you will receive a Letter of Completion, and be eligible to apply to the ADGL full training program. 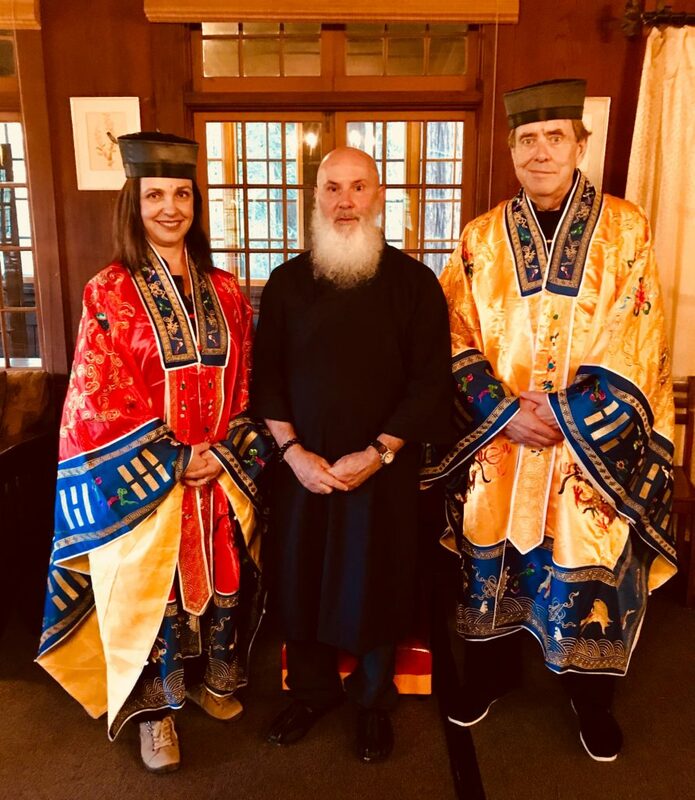 Level 3: The 1000 Day Training: To enter this level of Daoist training, candidates must have completed Levels 1 and 2, and attended an annual retreat, and submitted a Letter of Application for the priest training of the ADGL. ADGL members practice a variety of energy techniques, like qigong, circle walking, martial arts, acupuncture and other practices that support inner cultivation. 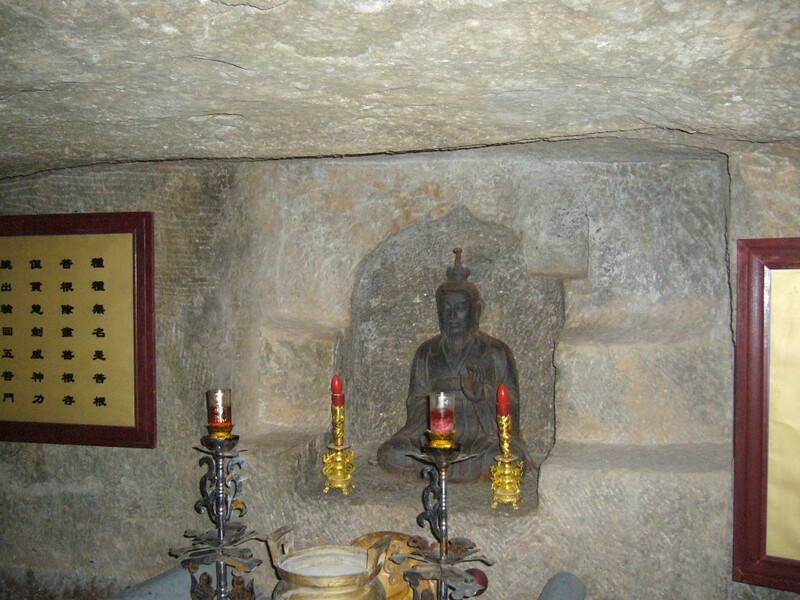 A special training focus is to spend time in solitary retreats. Individuals entering the ADGL are expected to have a background in some of these practices. Also, include in your introductory letter to Shifu Michael, a brief bio of yourself including your background in qigong, Taichi, martial arts, and any Daoist practices. Thank you. My course is an interactive program (not an online course) whereby students are given the core study material and supplement it with their own purchased books on qigong and related topics.